In 1976, NASA's Viking 1 snapped the photos of the surface of Mars. Today, some four decades later, the agency released the first audio ever captured on the surface of the red planet. The audio is of Martian winds blowing past the agency's InSight Mars lander, which touched down on the red planet on November 26. Scientists estimated the low-pitched, rumbling noises to be caused by 10- to 15-mph winds. “Hearing the first sounds ever recorded on the surface of another planet is a privilege. We have a great team, and we're doing incredible things every day at NASA,” NASA administrator Jim Bridenstine said. InSight's mission, led by NASA's Jet Propulsion Laboratory, aims to help scientists learn about the early development of rocky planets, and possibly discover the presence of liquid water on Mars. 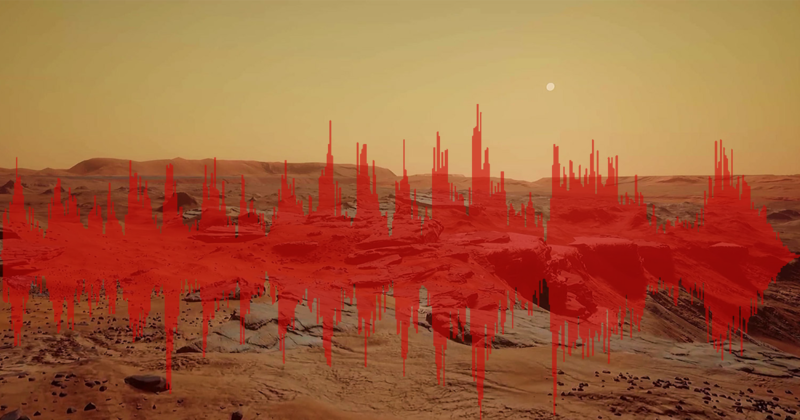 It's not the first time NASA has tried to capture audio on the Martian surface. The agency's Mars Polar Lander was outfitted with a microphone, but that craft ultimately crashed into the planet in 1999 after shutting its engines off too early. The Phoenix Lander managed to stick its landing in 2008, but NASA chose not to engage the craft's camera or microphone after a mission malfunction. NASA plans to capture more audio from the red planet on its Mars 2020 mission. That lander will be equipped with two microphones that will, among other things, listen to what happens when the craft fires a laser at rocks on the surface. When that happens, parts of the rock will vaporize, causing a shockwave that makes a popping sound. The noises captured from interactions like these can help tell scientists about the mass and makeup of the rocks. In other words, microphones give scientists another "sense" to use during experiments on the Martian surface.